Other points this week go to a good showing in F1's quiz, some more epic training, rollercoasters of both the emotional and physical type, and yes, Massa's kid makes another appearance. +2 Sebastian Vettel: Doing his bit for charity, with a meet and greet. +2 Nico Rosberg: Love a really good party to celebrate your first ever world championship - an all nighter! +1 Max Verstappen: I really like the enthusiasm here of just racing anything you can get your hands on. +7 Daniel Ricciardo: We know Daniel's not afraid to show off his dance moves, but trying out bellydancing is incredibly brave even for him. Brilliant! +1 Sebastian Vettel: Having a go on the Ferrari World rollercoaster at Yas Marina and actually reacting to it, unlike his teammate. +1 Kimi Räikkönen: Having a go on the Ferrari World rollercoaster at Yas Marina and keeping a stiff upper lip the whole way! +2 Lewis Hamilton: The Mercedes battle of the training regimes continued ahead of the final race in Abu Dhabi, look at Lewis, just throwing a tyre around. 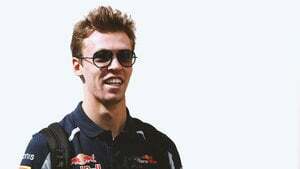 +4 Daniil Kvyat: Showing off with a great score on Grill the Grid, heading to the top of the standings with his teammate. +2 Felipe Massa: Taking a cue from potentially the cutest Williams mechanic ever on his final race. +2 Carlos Sainz Jr: Great picture of Carlos and his crew, and brave to strip down to your Nomex underwear! +6 Jenson Button: Excellent work taking over Ted's notebook, and chatting about how he didn't even watch the end of the race! 12 laps and done for Jenson!